Texas farmers and ranchers are offering assistance to Nebraska farmers, ranchers and rural communities as they struggle to recover from the state’s devastating natural disasters last month. Texas Farm Bureau donated $5,000 to the Nebraska Farm Bureau Relief Fund. 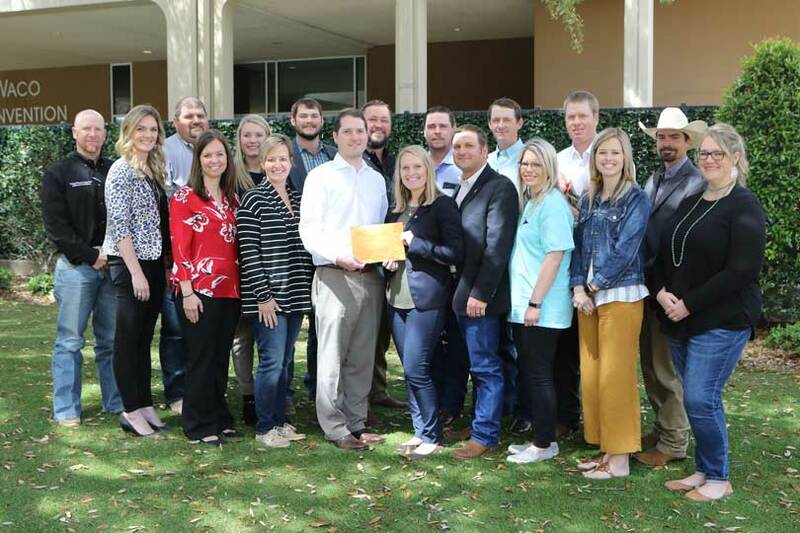 McLennan County Farm Bureau also donated $5,000, and the TFB Young Farmer & Rancher program donated $1,042. The bomb cyclone hit Nebraska in mid-March. Blizzard conditions brought snow, and torrential rainfall led to extreme flooding. Damages to agriculture top $1 billion, leaving Nebraska’s farmers, ranchers and rural communities facing a tough road to recovery. Agricultural losses include supplies of stored grain, livestock deaths and damages to equipment and barns, among others. Early estimates showed more than $400 million in cow-calf losses and $440 million in crop losses, according to the Nebraska Department of Agriculture. Increased transportation costs from infrastructure loss also dealt a devastating blow to the state’s feedlots. The catastrophic damage has left some in need of help. Reports show more than 80 of Nebraska’s 93 counties experienced a state of emergency declaration with historic flooding and devastating losses. That’s why McLennan County Farm Bureau also wanted to donate to the relief fund. During the TFB Young Farmer & Rancher Conference last month, Nebraska’s devastation was on the minds of young producers. The TFB Young Farmer & Rancher Advisory Committee collected donations from those in attendance. Other farmers from across the Lone Star State have also sent supplies. Click here for more information on the Nebraska Farm Bureau Relief Fund. Click here to donate to the relief fund. Money donated to the disaster relief fund will be targeted to aid Nebraska farmers, ranchers and rural communities affected by recent storms and flooding. Priority will be given to efforts to restore health and safety in rural communities and to farm and ranch households that have been damaged or displaced by the natural disaster. Nebraska Farm Bureau also opened the Agriculture Disaster Exchange portal. Like a “want ad” page, the portal provides a place for Farm Bureau members to seek and offer help, as well as share information during tough times.